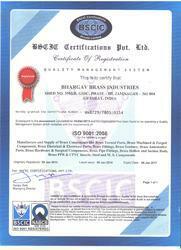 We are ISO 9001:2008 certified Company.Due to our uncompromising approaches towards quality, we have been able to attain NSIC certification. We ensure that all our products are being fabricated from the qualitative raw material, which are procured from trustworthy sources. Along with this, we make sure that our team members put best of ability to design entire range in compliance with the defined parameters of the industry. Further, to assure flawlessness of products, we stringently inspect our end-products to ensure their design, strength and reliability. 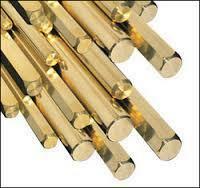 All our products ensure durability, smooth finish and resistance against corrosion. We have high qualified quality team to testing the product at every production stage. We are using standard gauges, equipments for producing better quality product. We have 150 square meter lab with fully quality testing equipment like profile projector,spectro meter,hardness testing, pressure testing equipments, radiation hazards testing equipments, micro meter, vernier calipers etc. All are striven efforts are focused in the direction of attaining total contentment of the client. In this direction, we ensure to follow holistic and fair approaches in our business operations so as to meet clients' expectations. 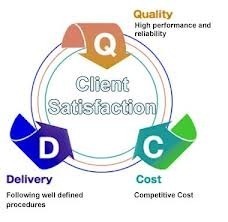 Being a client-centric organization, we endeavor to meet their demands with the best-in-class range of products which is manufactured by making use of high-grade basic material. Complying with the prevailing market trends and quality parameters, this range is widely appreciated for attributes it posses. Furthermore, we pursue entire dealing process with clients by cogitating their interests. Owing to our transparent business practice we have been able to establish long term relationship with major clients based across the markets of nation. We follow the Lean manufacturing to provide the quality products. we are using modern instruments like Vernier capliers,Micro meter,Angle protector,depth gauges,height gauges,Digital point caliper,Digital thickness caliper,inside groove caliper,digital offset centerline caliper,blade caliper,screw thread micrometer,disk micrometer,inside-outside micrometer,bore gauges,redius gauges,plug gauge,ring gauges,threading gauge,Angle protractor,Profile projector,microscope,Roughness Tester etc to measure different parameters. We measure the product at each and every step of process. We are providing the Best After sales service. We are provide the best customer care solutions.